SIBANYE-Stillwater’s proposed merger with Lonmin may be on the skids, said Liberum Capital in a recent report. According to the UK investment bank, the low platinum price combined with the relatively strong rand would see Lonmin burning cash such that it would be in a net debt position by September. The company reported $63m in net cash at the close of the first quarter, but it needed a 10% to 15% higher platinum group metal basket price to be cash neutral, it said. Neal Froneman, CEO of Sibanye-Stillwater, said when announcing the proposed combination with Lonmin that he would not seek shareholder approval if Lonmin fell into a net debt position. Sibanye-Stillwater needs 50% in shareholder support. “The key conditions precedent to the transaction are receipt of relevant clearances from the competition authorities in South Africa and the UK and approval from Lonmin plc and Sibanye-Stillwater shareholders who are expected to require Lonmin having a net cash position after repaying the $150m term loan,” said Sibanye-Stillwater in its bid document. Liberum Capital also said there may be significant political headwinds that could make the merger between the two companies difficult to achieve, partly owing to the potential job losses – some 12,600 jobs are potentially at risk over the next three years whilst “… 3,700 employees are due to go in 2018,”. The Association of Mineworkers & Construction Union (AMCU) might not be assuaged to give its approval to the transaction, at least not promptly, it said. “Part of Sibanye’s rationale for the deal is that Lonmin’s net cash position will help its own deleveraging priorities (targeting moving net debt/ebitda from 2.6x to 1.0x in the medium term). Clearly if Lonmin is in the red before the deal closes, it is going to make hitting its targets even harder,” said Liberum. Lonmin is due to report its interim results on May 14. Sibanye-Stillwater unveiled a scheme of arrangement offer for Lonmin on December 11 which, at the time, valued Lonmin at about £285m (about R5.1bn). Each Lonmin shareholder is to receive 0.967 new Sibanye-Stillwater shares. Following completion of the acquisition Lonmin shareholders will hold approximately 11.3% of the enlarged Sibanye-Stillwater group and Sibanye Stillwater shareholders will hold about 88.7% of the enlarged Sibanye-Stillwater group. Shares in Lonmin have fallen about 38% since the announcement of the deal. 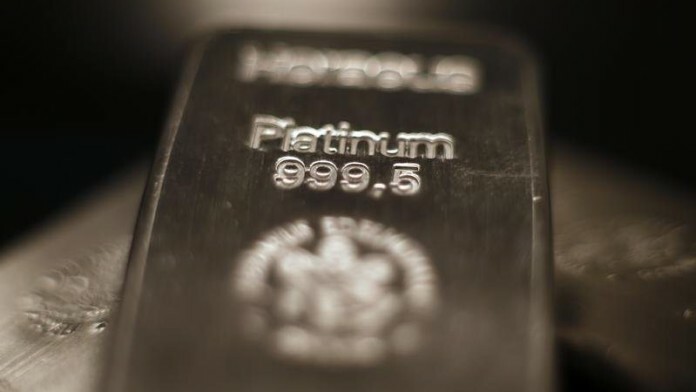 Shares in Impala Platinum were rated a buy by Goldman Sachs today which said the risks inherent in the company had been priced in by the market following its share price slide this year which saw it reach its lowest value since 1999 on May 10. “We upgrade Impala Platinum to Neutral, from Sell, following recent underperformance,” its said in a note. Shares in Implats had fallen 26% against the MSCI EMEA Index since it was added to the sell list, said Goldman Sachs. Its concerns at the time was two cuts in production guidance at Implats’ Rustenburg mine and a concern its balance sheet was under stress which might precipitate a rights offer. The low platinum price was a third factor. “While the outlook for the company remains uncertain, especially given the continued underperformance at the lease area – we believe that those risks are priced in now, hence our upgrade,” said Goldman Sachs on May 11.